Bianca has been involved in the sport of synchronized swimming since she took up the sport in 1999. She first joined the Australian National Team in 2007, and has represented Australia at various international events including 4 FINA World Championships, 2 FINA World Cups, FINA World Trophy, Oceania Championships and various international opens. 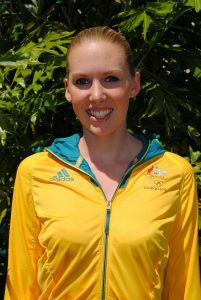 Bianca fulfilled her dream of representing Australia at the Olympics in both 2012 and 2016. She was the National Team captain from 2013- 2016 and had the honour of being the flag bearer for Australia at the 2015 FINA World Championships representing all aquatic disciplines. Post the Rio 2016 Olympics, Bianca decided to retire as an athlete, but has continued on in the sport from the other side of the pool. In 2017 she took on the role of Assistant Coach of the Senior National Team, and National Team Manager, passing on her knowledge and experience to the next generation of athletes.